Our team has experience in planning and organizing tailor-made events for our clients. Because we cater to the individual needs of each client, all of our events are unique and personalized. Certain language and cultural barriers that visitors to Japan may face can hinder their chances of experiencing authentic Japanese culture or accessing unique traditional venues. Our goal is to thoroughly understand our customer’s specific objectives and needs while helping them navigate these challenges. We aim to create seamless and beautifully made events, and provide our clients with exclusive access to both authentic experiences and breathtaking venues. Allow us to manage every aspect of your special occasion from site bookings, interior décor & design, and exquisite catering options to inviting engaging speakers and distinguished guests – including artists, designers, architects and company founders. Let us find you the perfect event space – someplace worthy enough to satisfy the interests of the design-curious yet wondrous enough to impress even the most cultivated and sophisticated of tastes. We also highly encourage visitors to consider combining one of our cultural experiences with one of our venue spaces. Whether it’s a compelling traditional experience, luxurious ambiance or delicious Japanese refreshments, look no further. Even if you’re not brimming with ideas, our team will carefully consider your needs to design and execute the perfect event for you. At TOKI we strive to organize only the best of experiences for our clients, providing exclusive access to both experiences as well as venues that possess unique touches of traditional Japanese culture. 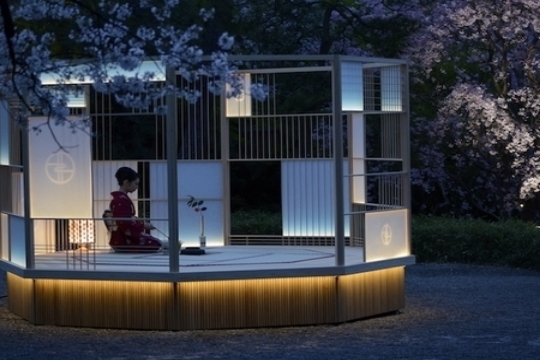 To ensure a quality experience, we have selected a variety of beautiful venues throughout Japan for you to enjoy the exquisiteness of Japanese arts. Below you can find some of the event venues we work with. Utilize our inquiry form and get started planning your next event. Whether it’s one of our cultural experiences at an exclusive venue or an event customized to your likings, here's the place to start! *Please note that we ask our clients to take into consideration the timing in planning their events. For those who do not request a custom design package, please contact us at least 30 days in advance of your desired event date. Clients who request a custom design package should book with us at least 60 days in advance.